ST. GEORGE – Flooding that struck parts of Washington County Thursday evening also hit the Quail Creek Water Treatment Plant, temporarily halting production, according to the Washington County Water District. “Flooding caused some damage at the Quail Creek Water Treatment Plant last night, stopping production,” water district officials posted on the district’s Facebook page Friday. With a daily output of 60 million gallons, the Quail Creek facility supplies a large amount of the county’s culinary, or drinking-quality, water. 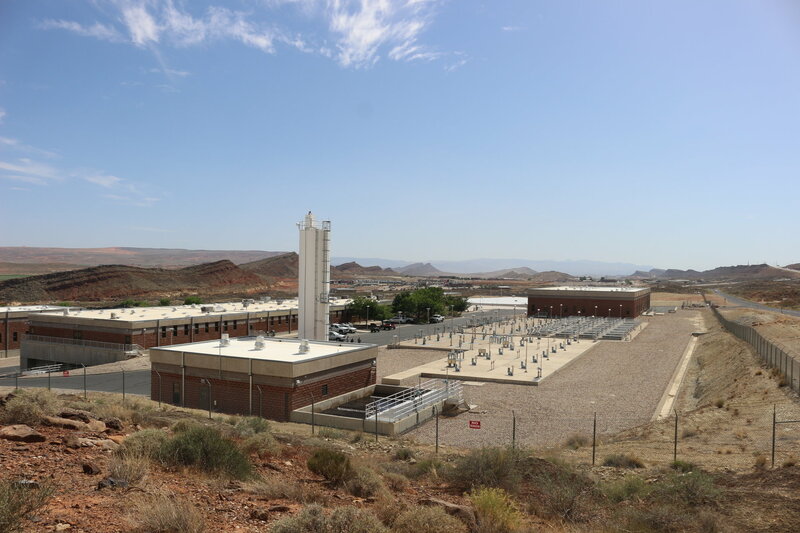 Communities like St. George and Washington City are also tied into the water that runs through the treatment plant, though they rely on some municipal sources as well. County residents likely didn’t notice the impact of the plant’s temporary shutdown as it didn’t appear to impact water use at the time. This was due to available water storage and “crews who literally worked all night and day to get the plant running again,” water district officials posted. Though the plant is running again, it isn’t back to full capacity just yet. “We’re back to 40 million gallons as of about an hour ago,” Karry Rathje, a spokeswoman for the water district, said in a text message to St. George News around 6 p.m.
As production is lower than normal, the public is asked to use water only as needed for the time being. The rains that caused flooding at the Quail Creek facility also caused severe flooding in Dammeron Valley, along with parts of Hurricane and Washington City. Parts of Zion National Park are also digging out from under mudslides caused by Thursday’s storm.